A new Internet Draft specifying ‘localhost’ must resolve to a loopback address. There was a lot of discussion about this on Hacker News. How Russia’s largest email provider developed a high-load WebSocket server with Go that could scale to their requirements. Interest in the DNS appears to come in waves, and we seem to be in the midst of a furious burst of activity. 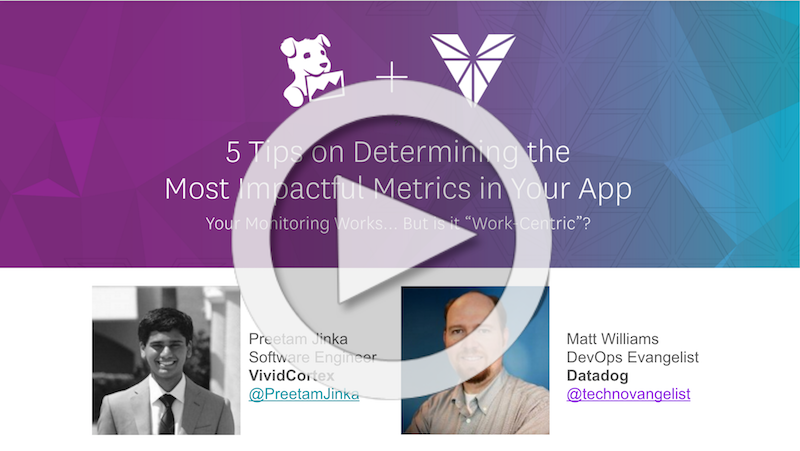 This webinar is all about the best ways to define and monitor your app’s most important performance metrics. Thoughts on limiting the number of concurrent requests in all servers to avoid cascading failures. An in-depth look at how to use malformed requests and esoteric headers to coax systems into revealing themselves and opening gateways into victim networks. Now Linux tools can be run on Windows Server, as well as Windows 10. No background services or daemons, however. A look at the core container runtime designed to be used by tools like Docker and Kubernetes to abstract away syscalls and OS specific functionality. A 75 minute discussion about IPv6 and the research going on at Cisco’s Innovation and Research Lab. A fascinating look at the world of load averages. ELK is Elasticsearch, Logstash and Kibana — a stack commonly used for logging and analysis. How to speed up execution times. This is a guest post from Brent Mills, Principal Infrastructure Engineer at Vyopta. An under development ebook already at 176 pages and covering setting up immutable infrastructure and automation with Ubuntu, SaltStack, gitfs, and PXE. With the DDoS threat landscape changing so rapidly, Incapsula engineers had to build a future-proof platform that would stay ahead of attacks. Here’s how they did it.